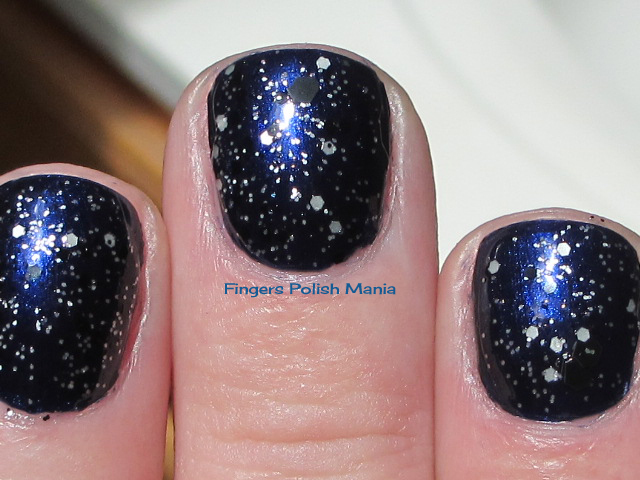 fingers polish mania: Is that Glitter????? Get excited people. Something you rarely see on this blog is about to appear. Glitter. Now those that pay attention know damn well that I am not a glitter fan whatsoever. There are exceptions to this rule of mine. 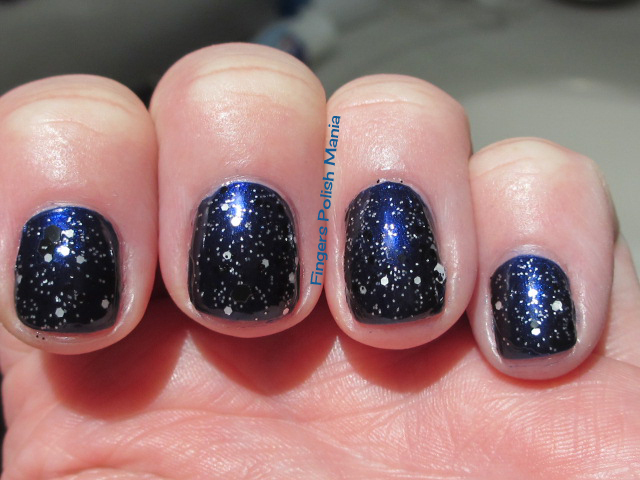 I love bar glitter, I love black and white glitter. There is no real reason why there are some I like and most I don't. I can only say that for the most part, I am so not a glitter fan. 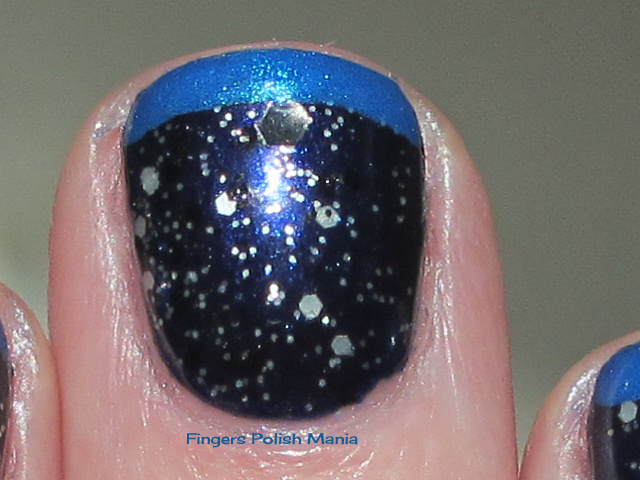 However, when one is feeling lazy and wanting something quick and pretty, glitter is the way to go. Now for story time. Remember when I told you how I ratted out my coworkers and how unfair things are between the people who have the same job title as I do? Well, yesterday I had my yearly evaluation. This was due in April, but who's counting right?? So usually, my boss says some things by rote memory. Meaning, I should finish my chemo certification so I can help in the treatment room to cover staff lunches that kind of thing. I was fully prepared to just hear that stuff again. Imagine my surprise when I was told that the position I hold will be tweaked to my way of doing things for the others to follow. WTF? HUH? Did I just hear you right? I was also told that I am doing a great job of taking care of my patients. That they will be coming to me for pointers and how I do my job so they can get the others to do things my way. I am told this will be done discretely because obviously, I have to work with these people who no doubt will know what is going on. I am a little worried about that part. The funny part? She compared herself to me. Before she was promoted to nurse manager, she did my job for fifteen years. How that qualifies her to run the place I have no idea, but tells me that I could be manager someday right? Hell no. What you don't know, is that I took this job and totally changed the way of doing things because her way wasn't working at all. So it's completely funny to me that she compares herself to me when she was doing my job. Let's just say that the doctors I work for like my way better. To stick up for her, which I never do, I think she was talking about how I am a total dictator and no one gets on my schedule without my ok. It's the only way to make it work. I am not there to make friends, I am there to take care of my cancer patients and if I don't say hi to you in the hall, well that's because I have a million things going on in my head and I don't have time for mindless chatting. That's just me. I think it totally helped that I had to miss six weeks of work. It finally showed them just how much work I get done in twenty eight hours instead of the normal forty hour week. I am told it took three people to do my job while I was out and people were really happy when I came back. Let's just say, I left work yesterday satisfied and happy that they finally understand how hard I work. I'm not going to apologize for tooting my own horn. Most of the time, you are only told what you're doing wrong. It was so nice to hear all that was told to me yesterday. She also mentioned that I was very insightful regarding the ratting out session she hadn't attended. I can't wait to see what the future holds. Wow, that's a long story eh? Let's get on to the glitter shall we? 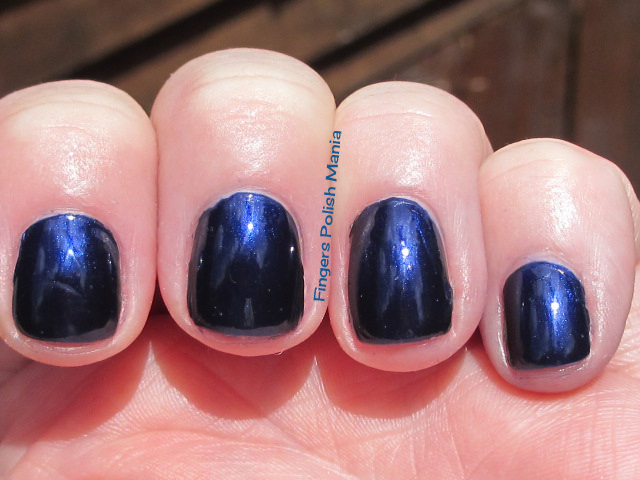 This is Zoya Tallulah, Pretty & Polished Valentino and Barry M Navy. When I was picking colors, the sun was hiding behind thick clouds. 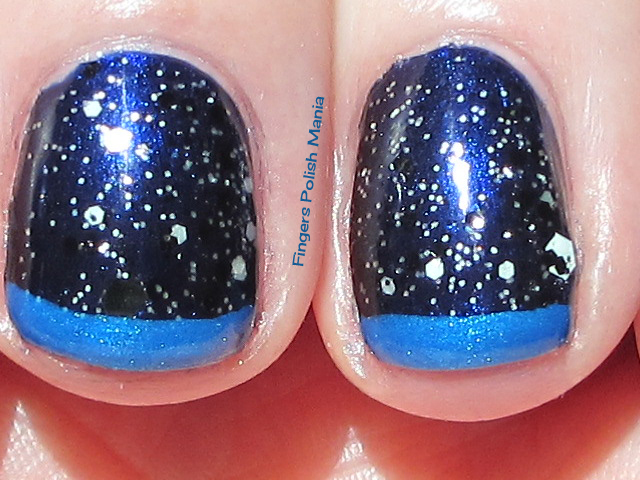 Of course, it came out when I was done and I could have done a holo! 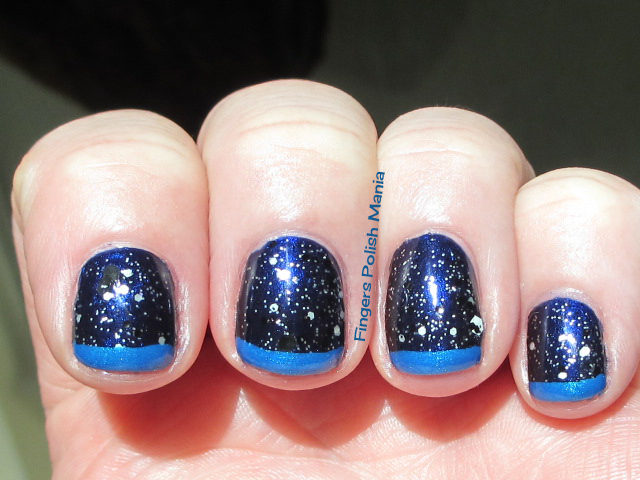 Anywho, I started with a full mani with Navy. 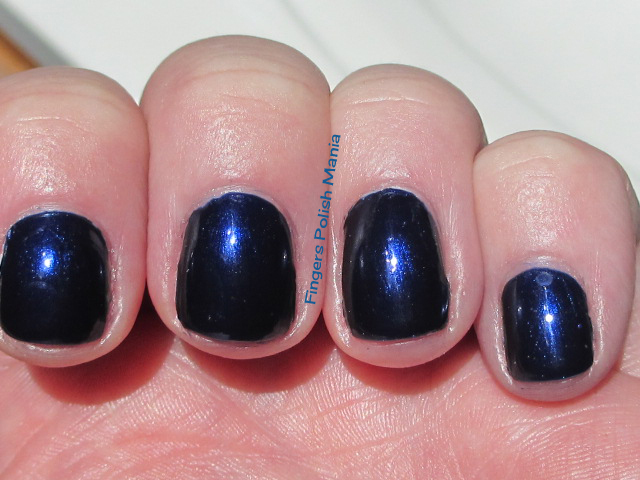 Such a gorgeous deep blue with shimmer. Here are the starting shots. It's like it glows from within. Stunning. Next I added a layer of Valentino. I did not try to fish out the big pieces, just wanted the little stuff. Here is that step. Yes I get that it's hard to see the black pieces, but I'm ok with that. I finished this off with my funky with Tallulah, which is a stunning bright blue with shimmer as well. Here are the results. I do love how this came out. I think the two blues together are so pretty! 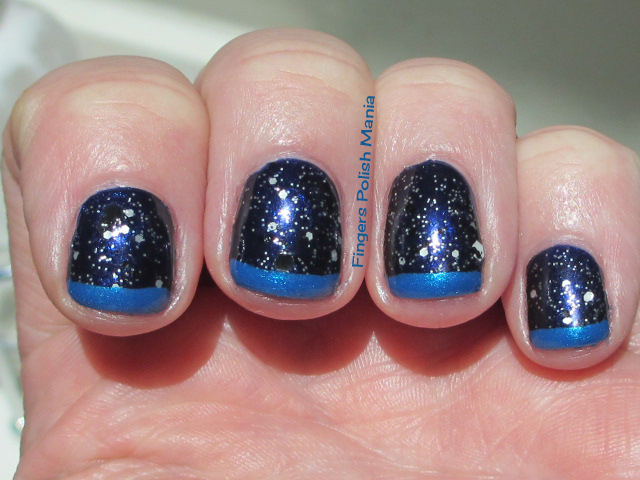 Are you shocked seeing glitter on my blog?